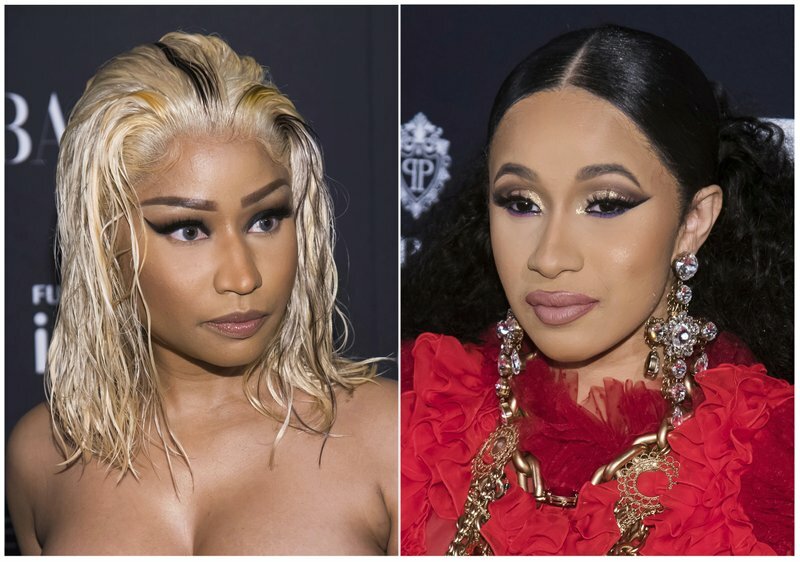 Cardi B tried to attack Minaj at the Harper’s Bazaar Icons party in New York on Friday. Video circulated on social media showing Cardi B lunging toward Minaj and throwing her shoe at the rapper. In an Instagram post, Cardi B — who recently had a child — didn’t call out Minaj by name but alluded to the fight and said she was sparked because her mothering skills were being disparaged. “I wanna say that I would never discuss anyone’s child. And it’s so sad for someone to pin that on me because I’m the bad guy and they’re gonna believe them,” Minaj said Monday on her Apple Music “Queen Radio” show. The rappers have been rivals since Cardi B began achieving huge success over the last year. Cardi B recently became the first female rapper to have two songs hit the No. 1 spot on the Billboard Hot 100 and her debut album, “Invasion of Privacy,” is one of the best-selling albums of the year. Minaj continues to find success but has been displaced as rap’s top female act. A barefoot Cardi B was escorted out of the event last week by security and was seen leaving the party with what appeared to be a bump on her head. “Get this woman some (expletive) help. This woman is at the best stage of her career and she’s throwing bottles and throwing shoes? Who the (expletive) is gonna give her an intervention?” Minaj said.